New Delhi : Delhi Chief Minister Arvind Kejriwal on Thursday claimed that Congress nearly said no and rejected his offer of an alliance with Aam Aadmi Party in the national capital. "We are very worried about the nation, so we are keener (on an alliance). The Congress has almost said no to an alliance," Arvind Kejriwal told reporters today. 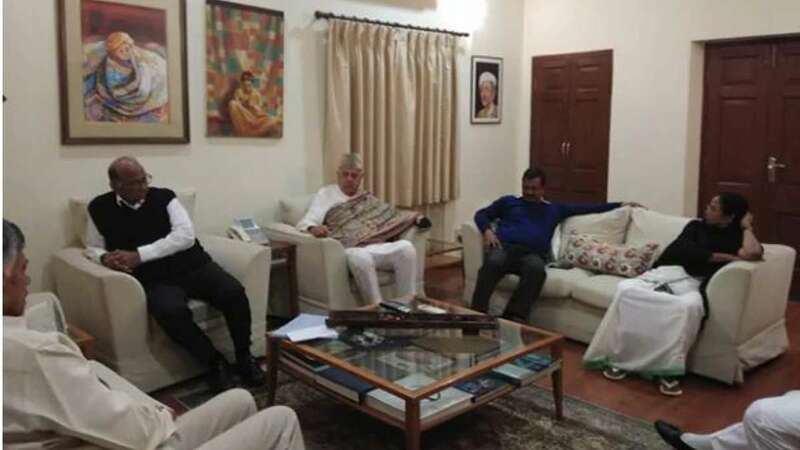 Mr Kejriwal attended a night-long meeting at Nationalist Congress Party (NCP) leader Sharad Pawar's residence to discuss a roadmap for upcoming general elections in May. In the meeting, West Bengal Chief Minister Mamata Banerjee and Congress chief Rahul Gandhi was also present at the meeting. The Congress president's comment after the meeting had indicated that his party was ready to go it alone in both West Bengal and Delhi, where his party is a rival to Mamata Banerjee's Trinamool Congress and Arvind Kejriwal's AAP. Mamata Banerjee announced that the opposition parties had decided on a pre-poll alliance to take on Prime Minister Narendra Modi and the ruling BJP. On the question of an alliance in Bengal and Delhi, she said it has "not been decided yet".